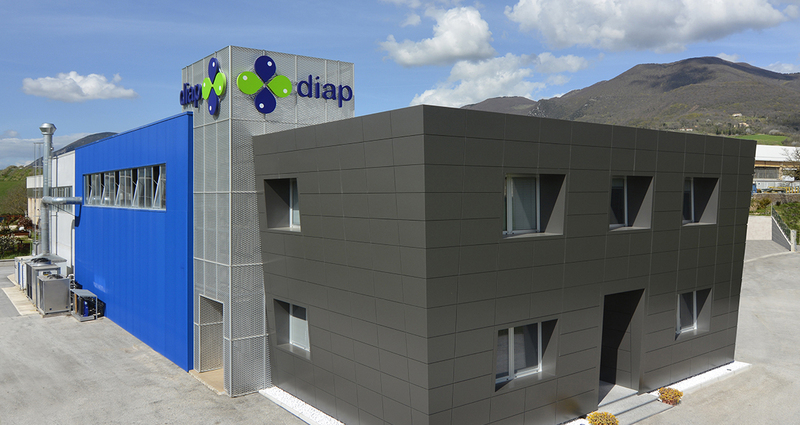 Diap is 9km far from Fabriano and 50km far from Ancona/Falconara International Airport. Leave the A1 Highway at Ancona Nord exit and take the freeway towards Rome, take the Camerino-Matelica exit and drive on until Cerreto D’Esi. Once there, turn left at the third traffic-lights. Clear road signs will point the way to our factory. For further info on our company, please send us a message below.